Google Drive, a virtual file-sharing service from Google, lets users upload, share and access their files from anywhere, either on their computer (on both PCs and Macs) or on a mobile device. If you are looking for a safe place for all your ISO files and puts them within reach from any smartphone, tablet, or computer, Google Drive will be your best choice. The article below will walk you through the steps to upload and share ISO files on Google Drive for accessing on smartphone or tablet. We can see that Blu-ray/DVD ISO image file is not the accepted format by Google Drive. That's to say, you might fail to copy large ISO files to your Google Drive. Or, find that target device can't recognize the ISO files from the Google Drive after putting ISO to Google Drive successfully. What's more, almost all mobile devices can't play ISO files natively. So, the best way to add ISO file to Google Drive is to convert ISO file to digital formats that Google Drive supports. To convert ISO files to Google Drive and mobile device compatible file format listed above, an ISO converter is needed. 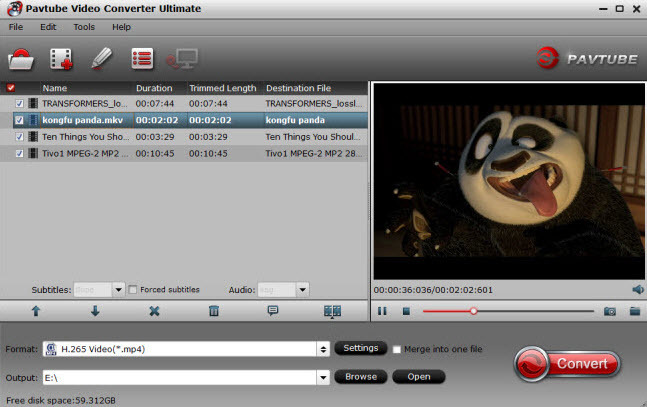 Here, the powerful tool - Pavtube Video Converter Ultimate is highly recommended for you. This program not only deals with ISO file, but also commercial Blu-ray disc/BDMV folder, DVD disc/Video_TS folder and any other video formats, you can swiftly convert ISO files to Google Drive supported video formats such as MP4, AVI, WMV, etc. 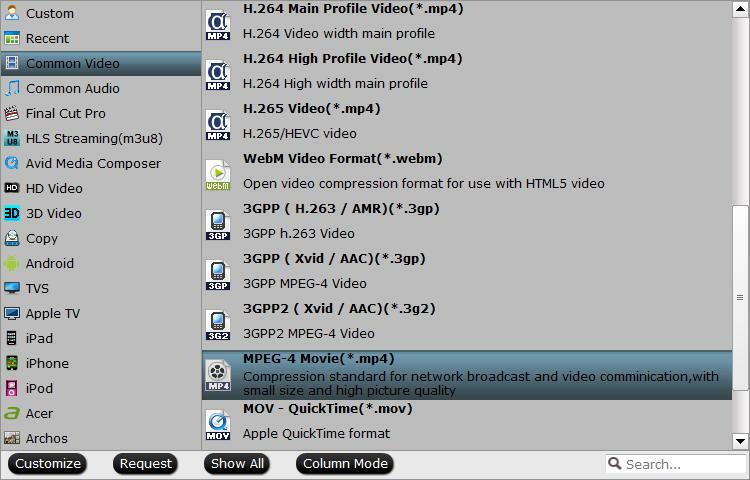 The program is cross-platform and are available on both Windows and Mac, you can perform the same conversion with Pavtube iMedia Converter for Mac on macOS High Sierra, MacOS Sierra, Mac OS X El Capitan, etc. How to Convert DVD ISO files to Google Drive for watching on mobile devices? Start the ISO converter on your computer, click "File" > "Load IFO/ISO" to import ISO files into the application. It supports batch importing so that you can add as many ISO files as you wish. Click on "Format" bar to select output format. Here you can choose one of Google Drive viewable file formats listed above. 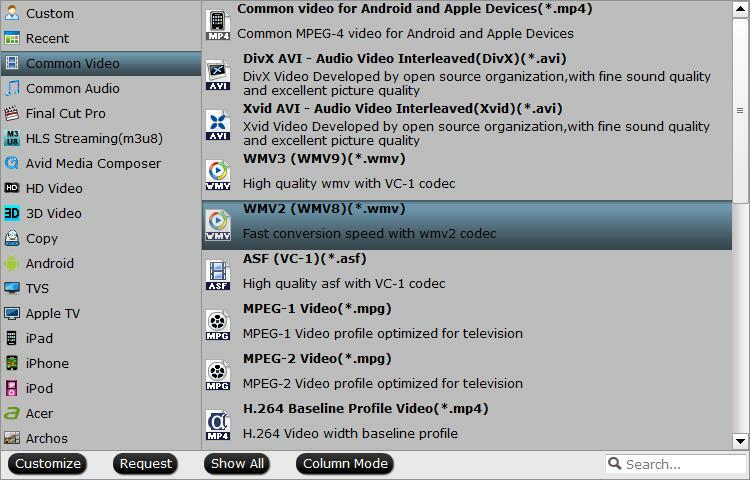 For space saving, you can output "Common Video" > "WMV 2 (WMV8)(*.wmv)" file format. If you plan to view the files on iPhone, iPad,etc with the Google Drive mobile app, you can then output Apple device best favorable file formats such as "Common Video" > "MPEG-4 Movie(*.mp4)" format. 1. The Maximum resolution for Google Drive is 1920x1080. 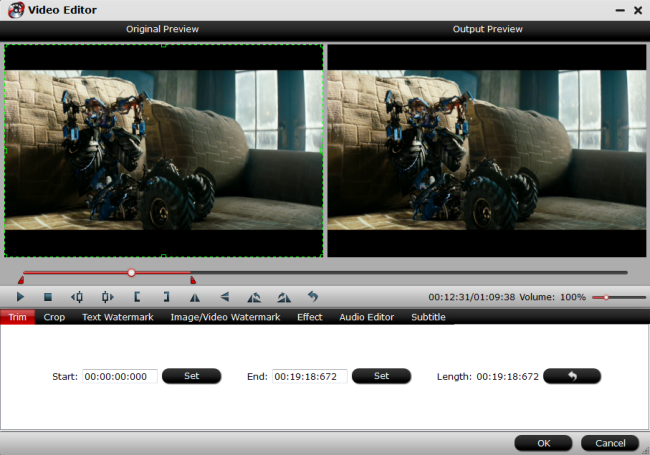 Audio and video lengths should be the same, which means audio and video should start and end at the same time. 2. 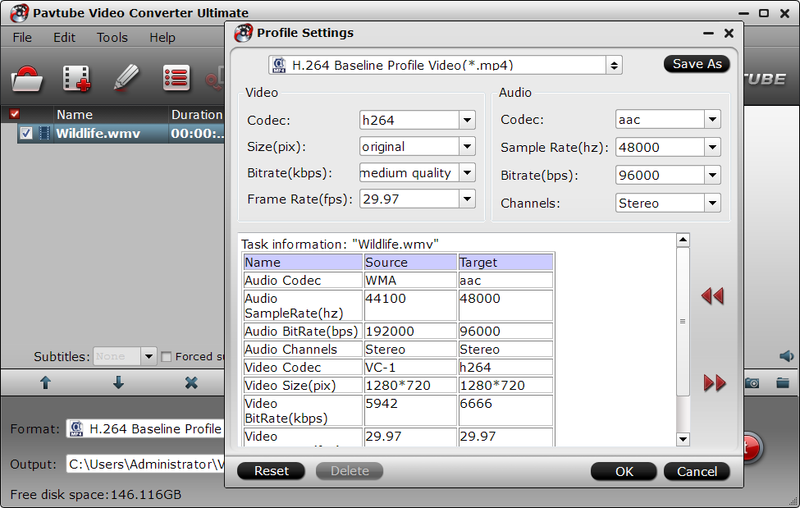 If you want 5.1 sound for Google Drive, make sure you have 6ch as the source and you'd better select AAC or AC3 as the output audio encoder and set the channel to 5.1 Channels. Because we are not sure how the Smart Fit actually works for us, and MP3 as far as know, does not support 6 channels. After the above three steps, go back to the main interface and click the "Convert" button to begin converting ISO movies to Google Drive highly compatible video files. Then you can add converted files to your Google drive and even watch them directly from your drive. Enjoy! 2. On the left, click “New”. 4. Select file you want to upload from. To select multiple files, press “Ctrl (PC)” or “Command (Mac)” and click all the files to upload. 5. You’ll see a box that shows the progress of your file upload. To open the file, click the file name. To close the box, click the “X”.